100% Certified Electronic Health Record Technology that will make your providers more efficient documenting for MIPS. Easy to use dashboard with color coded percentages and tools to show you what items are or are not counting. Quickly calculate and export your quality measure results into a file that can be drag-and-dropped onto the QPP submission website. Also includes a breakdown by patient to see where you stand. Clinical Navigator is directly integrated with the Systemedx Patient Portal to easily meet the measure requirements involving patient interaction. The Systemedx FHIR API has patient search functionality with built-in rights management to ensure only authorized individuals can access patient data. Clinical Navigator has the ability to do multiple reporting options including immunization, survey, syndromic surveillance and public health registry reporting. Systemedx Clinical Navigator offers a certified product that can be used to attest to the Medicare Quality Payment program as part of the Medicare Access and CHIP Reauthorization Act of 2015 (MACRA) and Merit Based Incentive Payment System (MIPS) that replaced the former Meaningful Use incentive. For more information concerning the details of the Quality Payment Program, please visit https://qpp.cms.gov/. 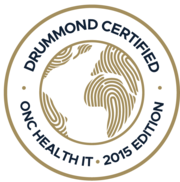 ONC Disclaimer: This Health IT module(s) is 2015 Edition compliant and has been certified by an ONC-ACB in accordance with the applicable certification criteria adopted by the Secretary of the U.S. Department of Health and Human Services. This certification does not represent an endorsement by the U.S. Department of Health and Human Services.